…nevertheless knowing that a man is not justified by the works of the Law but through faith in Christ Jesus, even we have believed in Christ Jesus, so that we may be justified by faith in Christ and not by the works of the Law; since by the works of the Law no flesh will be justified. We were justified (given right standing with God) not by works, but through faith in Christ. Justified means God declares you righteous or right with Him. God sees you just as if you had never sinned for you are a new creation in Christ. 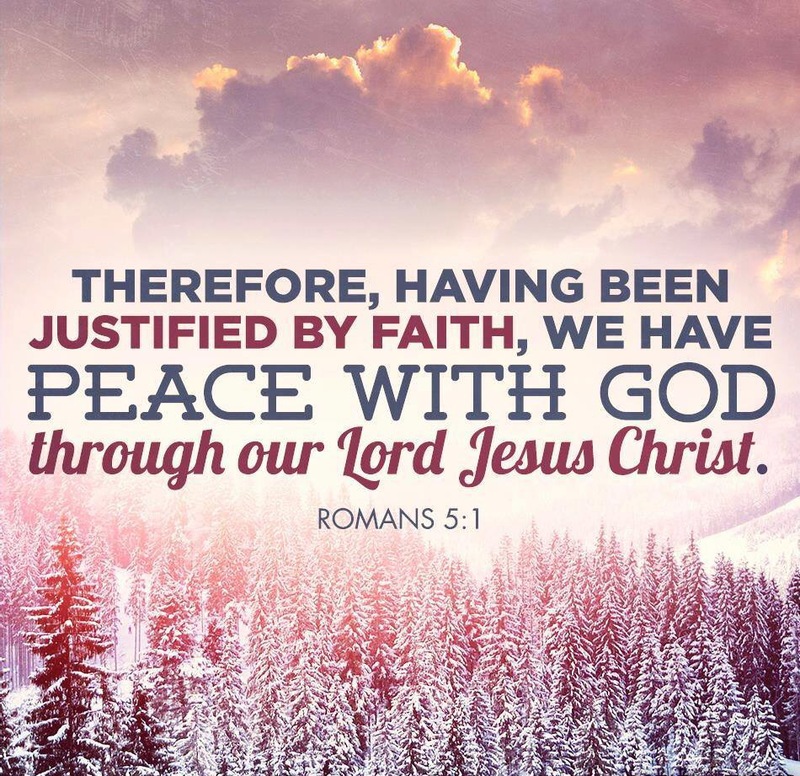 As Romans 5:1 tells us, we having been justified by faith now have peace with God. The wrath that God has towards man because of sin is taken away in Christ Jesus. The devil will try to convince us that God is mad at us for things we have done trying to get us to pull away from God. Don’t fall for this lie. We choose to do what is right in God’s sight because of what He has done for us but If you do miss it as a believer don’t run from God, run to Him. You have been given peace with Him because of justification. Peace means harmony between God and man. God is not against us, He is for us. So don’t fall for the lie that God must be against you. Because of justification we NOW HAVE peace with God and He is for us because we are one with Him.